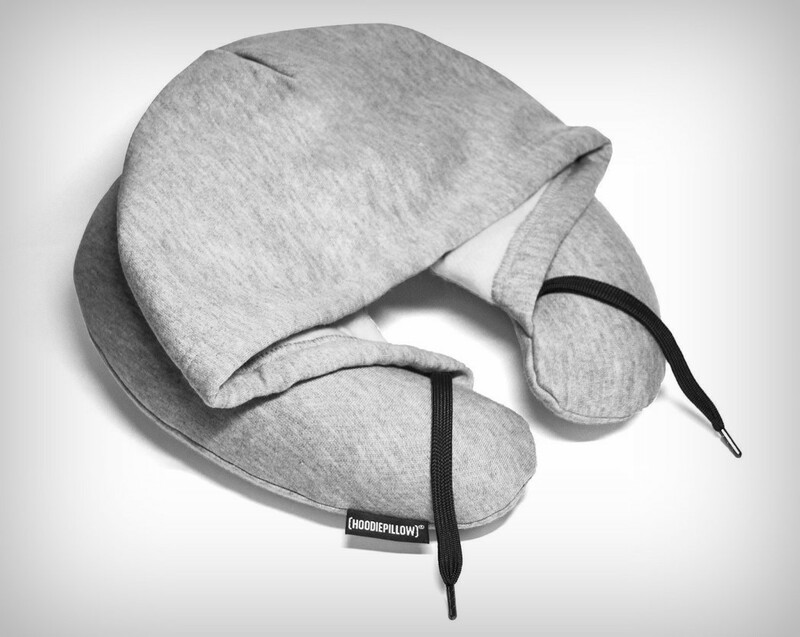 Probably the most essential travel carry after your passport and flight ticket, the HoodiePillow Travel Pillow combines two of the best and most comfortable things known to mankind into one super-comfortable product. 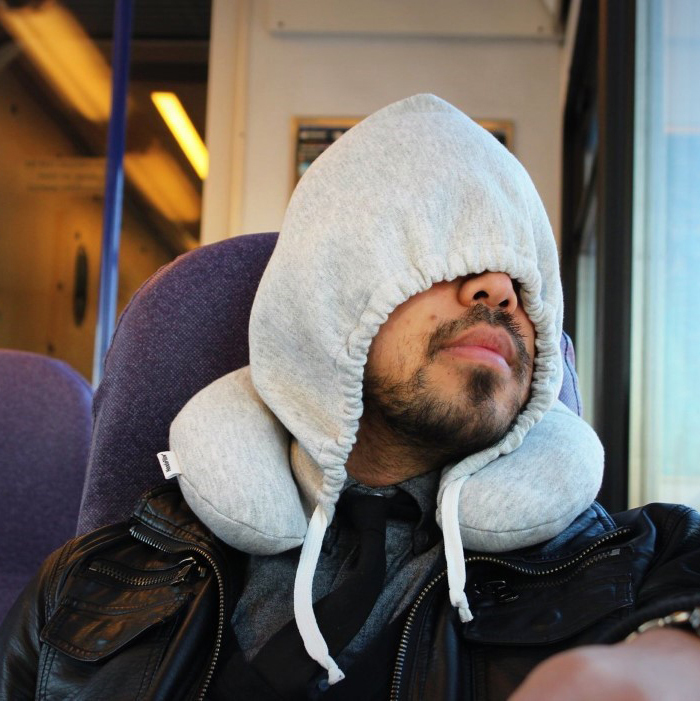 Designed to be the jet-lagged traveler’s best friend, the HoodiePillow Travel Pillow provides an comfortable memory foam shoulder cushion (there’s even an inflatable cushion variant) to sleep on with the added comfort of a hoodie that keeps your head warm, covers your eyes, and even muffles your hearing, so you can sleep on that long plane/train/bus ride without being disturbed by anything, be it discomfort, sunlight, or noise. What’s more, the hoodie by virtue of being attached to the shoulder pillow keeps it from casually slipping off your neck when you carry it around. 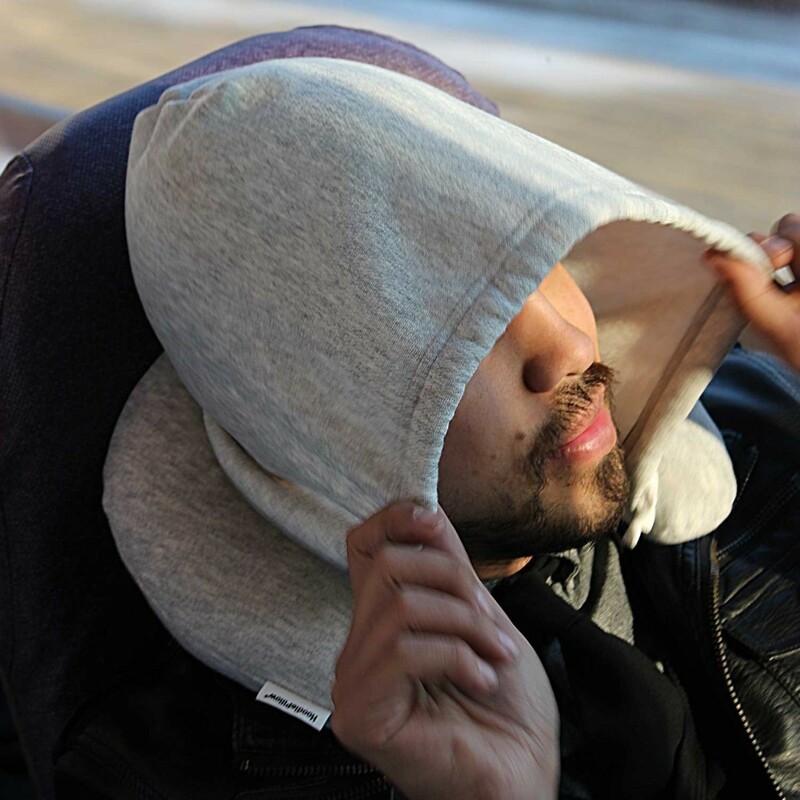 It also makes traveling with a travel-pillow around your neck infinitely cooler, thanks to the hoodie! Designers: Chris Hindley & Rebecca Rescate.